At Bloomin’ Blinds of East Dallas, our blind repair, installation, and sales company is devoted to one thing: serving customers with excellence and dignity. 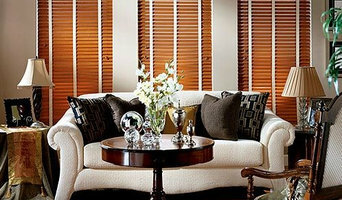 As a family-owned and operated company, our East Dallas blinds and shutters team understands the importance of values. Striving for excellence influences everything we do, from providing free estimates over the phone to making sure your windows look their best. Founded in 2006 by Kimberly Roulet, KDesign has been serving luxury home owners in North Texas as a trusted advisor for their home decor for over a decade. KDesign specializes in luxury window treatments that provide privacy, light control and accent the home interior within the budget of each client. 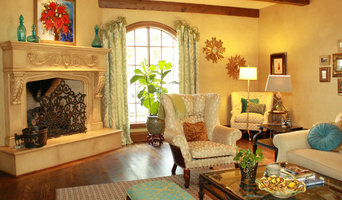 Kim’s passion for decor with attention to great detail is equal to her commitment to the satisfaction of each customer. 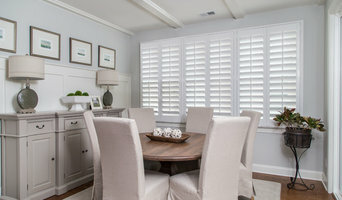 Using many products (hand crafted plantation shutters, wood blinds, faux wood blinds, woven woods, draperies, roman shades, cell shades, roller shades and valances) Kim works with each family to design window treatments that meet personal style preferences and practical requirements. Every KDesign window treatment is custom, made-to-order. We handcraft all plantation shutters, drapery panels and roman shades here in our Dallas manufacturing facility. Locally sourced and environmentally responsible products are always a priority. Blinds Brothers gives you a wide range of window treatment choices from a variety of manufacturers to make a decision that improves the value of your home. We provide a range of products including Aluminum Outdoor Shutters, Interior Shutters, Elegant and Energy Efficient Shades, Faux Wood Blinds, and more. We strive to provide our customers quality products with the personalized service you normally get from a decorator without the higher prices. Blinds Brothers has serviced the DFW Metroplex for the past 11 years. Call us today and we will be happy to answer any questions and set up an appointment that is convenient for your schedule. A window covering professional will help you determine which product fits your needs, and take precise measurements all in the comfort of your own home. Blinds Brothers is dedicated to the philosophy, if it’s not good enough for our home, we won’t put it in yours. You should have what you want in your home…not what someone else wants to sell you! Hey there! Thanks for checking out our company. We are a husband and wife team specializing in all types of window treatments. Jeff started the business as a blinds and plantation shutter company and now we also offer roller, honeycomb, array and solar shades. Katherine joined the company and added draperies and other soft treatments, so now we can cover all of your window covering needs! Mission statement: To provide an excellent and unparalelled service built upon integrity to the exemplary community of Fort Worth and the rest of North Central Texas. Business Model: The "store" is taken directly to your home. Not being burdened with overhead that comes with a showroom and being independently owned (no franchising fees) creates a competitive edge and savings that I have the privilege of passing on to my clients. Warranty: A five-year covering on all manufactured defects and failures due to normal wear. Under this warranty, any window covering that experiences failure due to a manufactured error or to normal wear will be replaced at no cost to the client. This does not cover incidental damage. 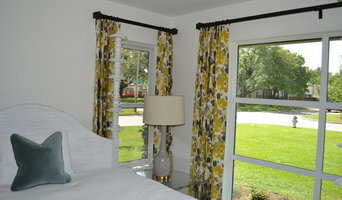 The Blind King specializes in a variety of window treatment options. Whether you need plantation shutters, wood blinds, roller or solar shades, we've got you covered. Our suppliers are the best in the industry, and our prices are competitive. Residential and Commercial Custom Window Treatments Since 1985, Blind Ambition has been committed to Hunter Douglas products while providing consumers with a thoroughly satisfying buying experience and quality installations. Hunter Douglas specializes in hard and soft proprietary window treatments which are custom built expressly for your windows and manufactured in the U.S. according to the highest standards of quality. Over the years, we have engaged in many residential and commercial installations. Our residential projects vary from single room updates to entire new home design and construction for homes located in Flower Mound, Southlake, Plano, Highland Park, Dallas and the surrounding areas. Some of our commercial projects include the Texas Motor Speedway of Fort Worth where we installed Hunter Douglas Somner Vertical Blinds (formally Millennia Verticals) throughout the nine-story Club Tower, Stryker Communications of Flower Mound, Denton Regional Medical Center (Duette Architella in Community Room), American Airlines -BRCC (Backup Reservation Control Center) Dallas, TX, Red Robin Restaurant (Screen Roller Shades) Flower Mound, TX, City of Carrollton’s Indian Creek Golf Course. Club House, Audi University Park Dealership of Dallas, Derse Exhibits of Coppell, Washington Mutual Bank of Plano, Caliber Collision Center of Lewisville, Pei Wei Asian Diner of Arlington, Fossil Creek Golf Course Pro Shop of Fort Worth, Linen's and Things #255 of Keller, Esparza's Restaurante Mexicano of Grapevine, City of Coppell’s Aquatic Center, Police Department, and Library just to name a few. While the retail consumer has been a vital part of our customer base, we also offer our services to the independent ASID Interior Designers, Architects, Home Builders, and General Contractors. We will work together with you and your clients ensuring them in selecting one the many innovated window covering solutions to meet their needs. You'll feel confident purchasing Hunter Douglas window fashions from us, a long-term reputable dealer. 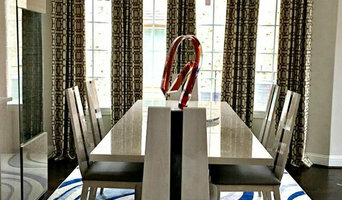 Count on us for the best products, professional measuring and installation, and expert assistance with design. Let us help you treat your windows today! !